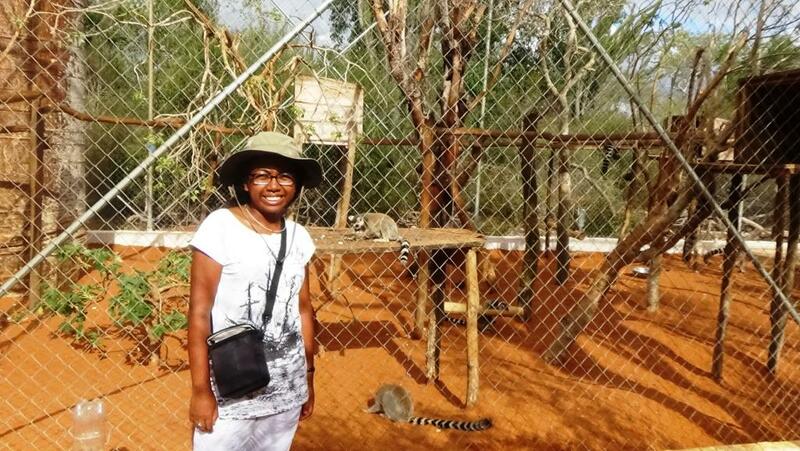 Several months ago, the Office of National Tourism of Madagascar (ONTM) launched a campaign to promote travel in Madagascar by asking tourists to share photos of themselves holding captive lemurs. Seheno at the Lemur Rescue Center. 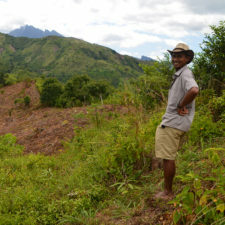 Maurice Adiba, the president of the NGO Reniala and Kim Reuter, a Technical Director at Conservation International and founder of the Pet Lemur Survey (read more about Kim’s research on pet lemurs in Madagascar in this previous blog post: https://lemurconservationnetwork.org/on-the-ground-kim-reuter/), alerted the ONTM about the negative impacts this campaign could have on lemur conservation efforts. The ONTM agreed to meet with lemur researchers and member of the conservation community in order to discuss and to open to dialogue about the best way to have an awareness campaign to the general public about Madagascar’s lemurs that would not negatively impact their conservation. In the meeting, which took place on February 16th, I met with two communications representatives from ONTM, while I represented Reniala, Lemur Love, and many others in the lemur conservation community. I presented a letter addressed to ONTM and signed by 30 lemur researchers and conservationists from 7 countries, including individuals from 11 of the Lemur Conservation Network member organizations. During the meeting, I explained why we do not support holding or touching lemurs, and the impact photographs of tourists holding captive lemurs could have on lemur conservation efforts. These animals are often taken from the forests, illegally trafficked, and held in captivity, often in poor or unsuitable conditions, in order for tourists to pay to have interactions with them and take photos. I explained the growing problem of illegal ownership of pet lemurs in Madagascar (there are at least 28,000 pet lemurs in Madagascar according to a recent survery), and how it is now becoming one of the major threats to wild lemur populations, in addition to habitat loss. 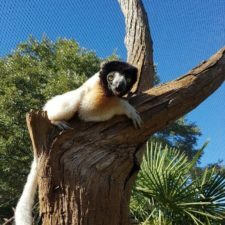 At Renalia’s Lemur Rescue Center, we take care of and protect lemurs that were once held by hotels or private owners, or kept as illegal pets. 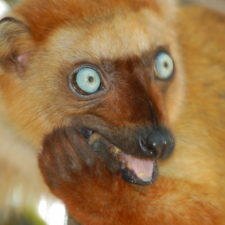 In my work, I see first-hand the negative impacts of illegal ownerships of lemurs. Many of them were very traumatized when they came to us, displayed many aggressive behaviors, and had various health problems. Seheno with the two representatives from ONTM at their February meeting. In addition, I presented the arguments explaining why the images depicting human-primate contact increase the desirability of lemurs as pets worldwide, and increase the likelihood of people believing that these primates are not endangered. Finally, I explained the suggestions and recommendations given by the conservation community to ONTM on properly communicating to the general public and tourists about the protection of lemurs and the problems of illegal pet lemur ownership in Madagascar. ONTM took the issue to heart, and in the future, they have vowed to be aware that the use of certain photographs of lemurs (e.g., those of lemurs and humans interacting) could have unintended, negative consequences. ONTM has already stopped the online campaign, and they pledged to remove pictures posted by tourists on their site once they have come up with a strong communication strategy on the topic. Furthermore, during the meeting, we discussed a potential collaboration in which the conservation community and ONTM can co-launch a public awareness campaign on the illegal ownership of lemurs. This meeting was really encouraging. 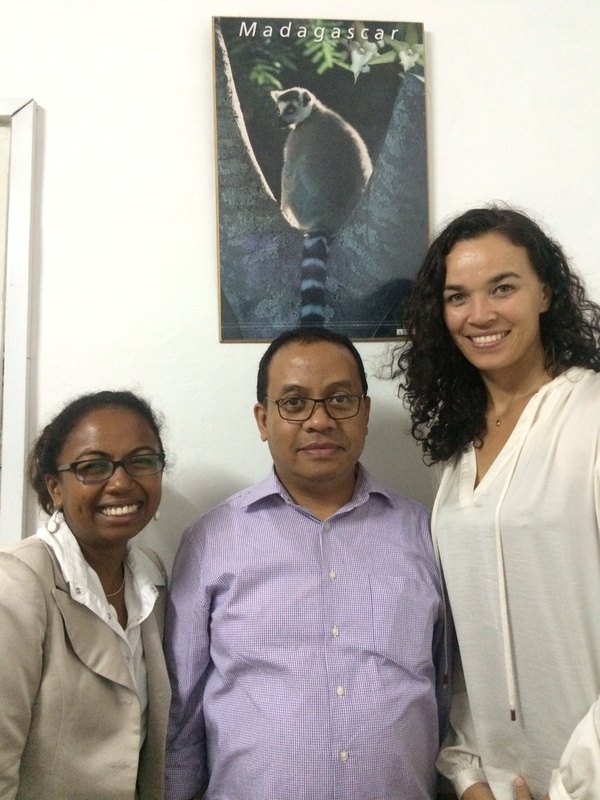 It has opened up a dialogue with ONTM that we hope will continue into the future, and make ONTM a valuable partner in spreading lemur conservation messages to tourists in particular. I think that it’s the beginning of a fruitful collaboration between the conservation community and tourism stakeholders, and could be a model for similar partnerships moving forward. I hope that, together, we will find the best way to promote sustainable ecotourism that benefits lemurs, the people of Madagascar, and the tourists. *Seheno Andriantsaralaza is a biologist based in Madagascar. She works at NGO Reniala Mangily Tulear, where she is the scientific coordinator at the Lemur Rescue Center at the Reniala reserve. If you ever visit Madagascar, make sure to only encounter lemurs from a distance in the wild or at one of the accredited zoos. 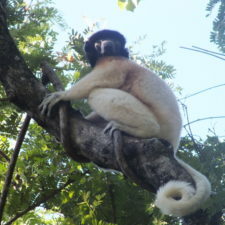 Do not pay to feed, touch, hold, or otherwise interact with captive lemurs in facilities such as hotels and restaurants.